Happy Friday! Although it has been a short week the lack of routine has left me in need of a weekend to get my life together. Between paying bills, laundry, and catching up on all things blog related there is no doubt that I am happy it is Friday. And even better than that, this is the only Friday this month that I'll have an afternoon class and starting in two weeks I won't have Friday class at all. Clearly, I am pretty pumped about that! So while my weekend is clearly shaping up to be a wild one (ha!) 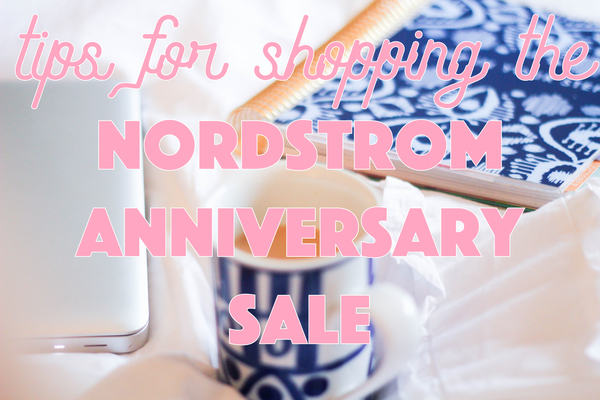 I am so excited to get posts prepared to help y'all in order to shop one of my favorite sales of the summer, the Nordstrom Anniversary Sale. Here is my disclaimer of a paragraph for y'all before we really get into the excitement of why it is actually the best. I know that you will be hearing TONS about this on various blogs you read and while the hype may seem a bit much at times the deals are actually that good. In addition to that, it is no secret to most of y'all that a lot of bloggers have monetized their blogs and are able to make commission from links used based on the sales. Talk about the best job ever! The posts you'll be seeing from bloggers have had hours and hours poured into them from shopping the sites to creating the image and the content surrounding it. It makes sense that money is being made since even though it is really fun work it is still work nonetheless. I am included in that population of readers but want to make something really clear with y'all. 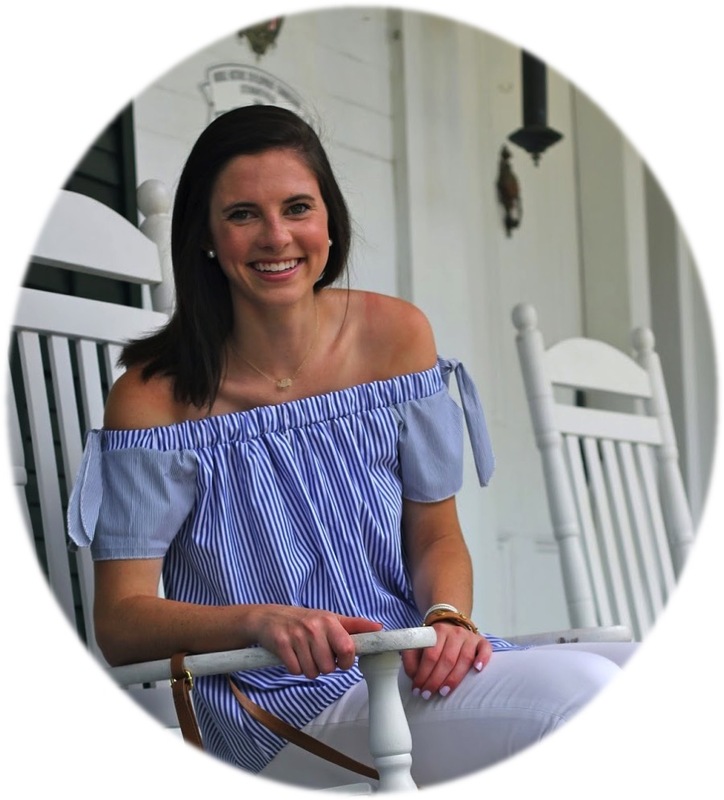 By sharing all of my picks from the sale with y'all as well as my favorite items in different categories of the sale I am in no way trying to convince you that you need a new pair of riding boots or a coat (aka material things) to be happy. I think we all get that that is not my intention. I work really hard to make sure that I mix up my more materialistic/shopping style post with posts that provide you with advice in different situations to genuinely help you out. I wouldn't be raving about the Nordstrom Anniversary Sale if it wasn't something that I actually shopped and looked forward to every year. I have been brainstorming a number of fun post ideas both surrounding the sale and not so that hopefully regardless of whether you plan to shop or not you'll want to come back to my blog to see my posts because you know that there will be a mixture. With that said, if there are any specific posts surrounding the NSale that you want to see or have me incorporate never hesitate to let me know! Now that we've covered that here are the answers to your next question: When is the sale? July 13th begins Early Access which is for Nordstrom Card Holders (we will get into that in a minute). July 20th is the last day of Early Access. July 21st is the first day of public access to the sale! August 8th the sale ends and you can anxiously await your mail man delivering your last minute packages (since I know I usually do). So if you have checked Nordstrom's site recently you may have noticed that the sale has two different start dates. The first date, July 13th, is when the sale opens for Nordstrom Card Holders. The second date, July 21st, is when the sale opens for non card holders. In the past, products have been known to sell out in sizes or color choices during the time where only card holders have access which is great incentive to sign up for your own Nordstrom Credit or Debit card. You can do this in store or online and it's not too late to go ahead and do that now in order to shop the sale early. One great thing the Nordstrom does before their sale is release a catalogue featuring some of the products you'll be able to purchase during the sale. This gives you a pretty good idea of some of the items that you'll be able to shop during the sale as well as some of the trends that are on the horizon for fall. Stay tuned next week before the sale when I share some of my favorite items from the catalogue to give you a taste of what the sale is going to be like. So in a nutshell: Sale opens to cardholders July 13th and general puplic July 21st. The sale ends on August 8th and features new fall merchandise marked down before the season even starts! New items are added daily which makes it worth checking out the site periodically for any new pieces that may be offered! To make it easier for y'all, I have created a label on the side bar of my blog "Nordstrom Anniversary Sale 2017" so that you can look at all of my posts related to the topic in one place. I did this last year with the Nordstrom Anniversary Sale 2016 label so if you want to see some of the items offered then you can check that out easily. You'll also see a new page at the top of this page that says NSale (the nickname for the Nordstrom Anniversary Sale) which will also be a good place to check for anything related to the sale! I'll also be using liketoknow.it during the sale on instagram so if you haven't signed up for that or aren't sure exactly what it is then you can find those details here! Like you, I can't wait for this sale! I'm going to try and snag some new riding boots since mine are falling apart. Sounds like a great sale! There isn't a Nordstrom where I live, so this is a great opportunity for me to dip into their products!